Federal regulators are alleging that Facebook's advertising tools allow landlords and real estate brokers to engage in housing discrimination. The U.S. Department of Housing and Urban Development said in an administrative complaint this week that Facebook violated the Fair Housing Act because its targeting systems allow advertisers to exclude certain audiences, such as families with young children or disabled people, from seeing housing ads. "When Facebook uses the vast amount of personal data it collects to help advertisers to discriminate, it's the same as slamming the door in someone's face," HUD Assistant Secretary Anna María Farias said in a statement Friday. Service providers such as Facebook typically aren't liable for the actions of their users. In a separate, civil lawsuit filed by housing advocates, the Justice Department says Facebook doesn't fall under that category because it mines user data, some of which users have to provide, and customizes ads for specific audiences. The government says that counts as being a content creator, rather than merely a transmitter of user content. 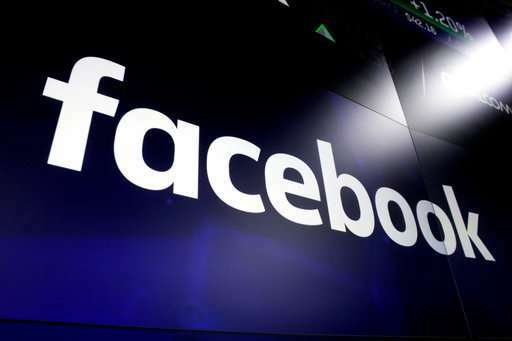 Facebook said the company doesn't allow discrimination and has strengthened its systems over the past year to prevent misuse. The company added that it is working directly with HUD to address its concerns. Facebook has an opportunity to respond to the HUD complaint before the agency determines whether to file formal charges. The HUD action is separate from the federal lawsuit, filed in March in New York by the National Fair Housing Alliance and other organizations. The lawsuit says investigations by fair housing supporters in New York, Washington, D.C., Miami and San Antonio, Texas, show that Facebook continues to let advertisers discriminate even though civil rights and housing groups have notified the company since 2016 that it is violating the federal Fair Housing Act. It seeks unspecified damages and a court order to end discrimination. The Justice Department's position came in a filing in that case. Facebook said it plans to respond in court.